This project consists of four large-scale niches in the new Kaiser Lone Tree Medical Center, each about thirty feet wide. 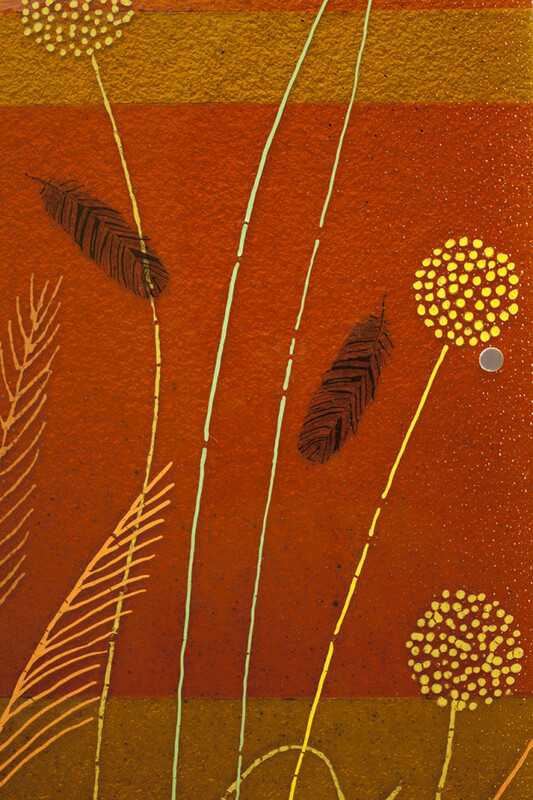 Each niches, on its own floor, presents a take on the theme "Nature's Eden" and features fused, cast and silkscreened glass, as well as photographs by Heather Collins incorporated through dye sublimation into the glass. The colorful pieces bring the outside world in for the enjoyment of patients and staff. One of the client's goals is to use artwork to express their philosophy while giving patients and staff the added benefit of enjoying artwork and encouraging movement through the facility to enjoy the collection. These pieces were commissioned for large-scale niches built into heavy traffic areas of different floors and had the added constraints of safety and cleaning considerations as they have bench seating just below. 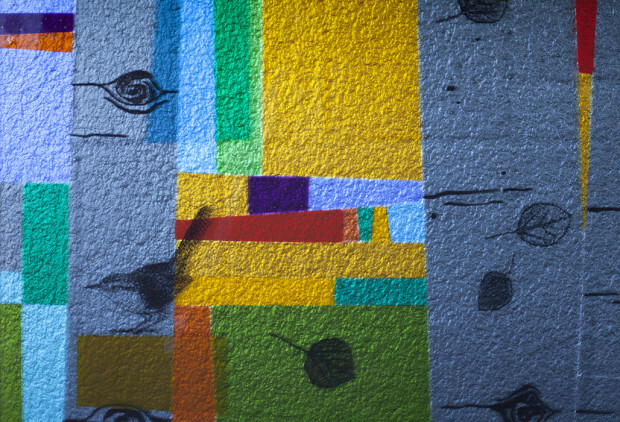 The color palette varied for each floor and was integrated into the artwork. While each piece is unique, they relate to one another in theme and overlap in some techniques and colors. These pieces were commissioned by Jane Lewis, who put together an eclectic and engaging collection for this new medical center. The message of the artwork is important to the client as well as the perspective of the viewer and therefore there was collaboration during the design process with the client to ensure that the theme and content were consistent with their vision and that the piece would meet safety standards for the healthcare setting. Photographer Heather Collins also collaborated on this piece by creating photographs that were then placed in glass using a dye sublimation technique. Additionally, a verse from a poem by Alice Polk Hill, the first female poet laureate of Colorado, was incorporated through silkscreening into the piece to further express the theme. At the grand opening of the building (and thereafter), the client provided a guide to the fine art collection for guests to enjoy and learn about all of the commissioned pieces in the collection. For this project, we sought to celebrate the color, texture and vibrancy of nature and to bring those elements inside for the enjoyment of all who pass through the medical center.